Purchase this product now and earn 1,498 Points! You will love this bodybuilding hat in summer, done in black with the iconic white lift gear logo. 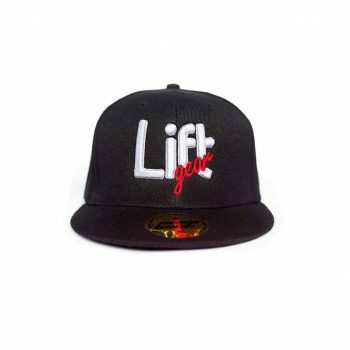 We get a lot of people comment on this hat when we wear it to INBA events or down to the local gym. This gym hat is made from 100% cotton so it will keep your head cool, especially during those hot summer months. The adjustable back strap means any size head will fit this cap. Grab one of our bodybuilding caps today along with your order of protein.